Lively debate as politicians from our region discuss the fall-out from the recent elections. And where does Nigel Farage want to stand as an MP? Guests include John Denham (Lab) Mark Reckless (Con) Diane James (UKIP) and Jasper Gerard (Lib Dem). Apologies in advance for the poor quality. Mark Reckless today joined Atul Hatwal, Director of Migration Matters Trust, on BBC’s Daily Politics to discuss the impact which mass immigration has had on the United Kingdom. “I know from talking to my constituents that the issue of immigration is one of their top concerns and I welcome the action which this government has taken to cut net inflow to the UK. We remain on course to cut immigration from the 100s of thousands seen under Labour to the 10s of thousands. Why Do Labour Fund This? This evening I debated on Channel 4 News with a lady from the Refugee and Migrant Forum of East London (RAMFEL). They are based in Ilford and appear to receive funding from three Labour councils, Hackney, Tower Hamlets and Barking & Dagenham. Yet RAMFEL’s website criticises action to crack down on employers of illegal immigrants, supports a campaign called “Hands Off My Workmate” and describes employers who co-operate with the authorities against illegal immigration as “grasses”. Do Labour agree with this? If not, why are they helping fund it? I visited Medway Maritime Hospital on Friday with my colleague Tracey Crouch MP to question hospital Chair, Denise Harker, and Chief Executive, Mark Devlin, about what they were doing to put right problems identified at the hospital by the country’s Chief Medical Officer, Bruce Keogh. Today Jeremy Hunt, the Secretary of State for Health, confirmed that Medway was to receive special measures of support from the government. Is the Secretary of State aware that in Medway we were left with just three consultants to share cover of A and E, but we have now increased the number to six, and it will soon rise to eight? These are precisely the problems that this review is designed to root out. There were problems with long A and E waits as well as with inappropriate medical interventions and poor communication with patients, but I hope my hon. Friend’s constituents will be reassured by the transparency of what is happening today, and the fact that I am making this Government accountable for sorting out those sorts of problems. My Medway colleagues, Rehman Chisthi and Tracey Crouch, also spoke out on behalf of hospital patients. Rehman noted that in 2005/06 the hospital had the seventh highest death rate in the country without special measures being adopted. The ‘excess mortality rate’ now is around 8% (up to 10% in one year may be considered chance) compared to 25% in 2005/06. Tracey asked when our constituents could expect to see significant improvements at Medway hospital and the Secretary of State said we wanted these ‘swiftly’. “The Government has conducted a thorough and expert led investigation of 14 hospitals including Medway Maritime Hospital in response to the higher than expected mortality rates at the hospital, which has been shown to have existed for some time. 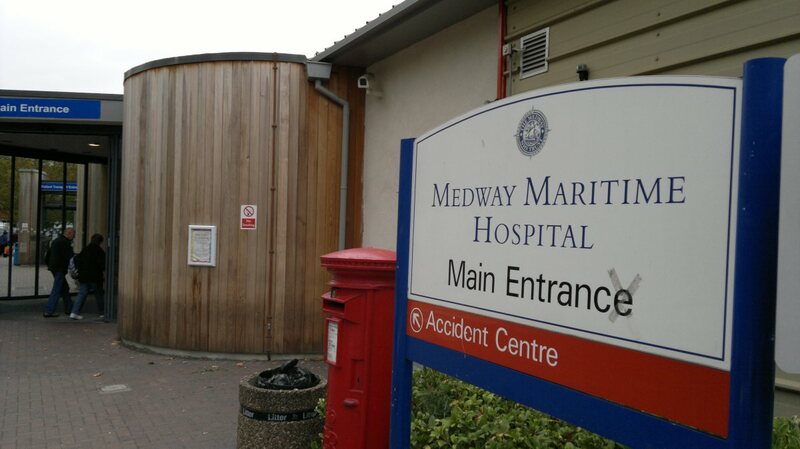 “The report has highlighted significant concerns over the current procedures in place to protect patients and to provide safe care in the hospital and the Government has placed Medway in special measures. On Monday just after 10pm I shouted ‘No’ to force a division against plans to regulate our successful hedge fund industry. Consequently, we had one special ‘deferred division’ today where, rather than walk through the lobbies as normal, we fill in open ballot papers. The result has just been announced in the Commons. The vote was on whether to approve the Alternative Investment Fund Managers Regulations 2013. These Regulations implement the EU Directive of the same name and force private equity and hedge funds to adopt structures prescribed by the EU. The Conservative party initially opposed it. Some funds which have traditionally been based in London are already moving to Switzerland or Singapore rather than accept this EU regulation. Protectionist aspects also stop many US funds selling into the EU, forcing some to close representative offices in London. I was heartened therefore to assemble a cross-party alliance of 27 MPs to vote against today and try to protect our hedge funds from these EU regulations. Margaret Beckett, Jeremy Corbyn, Ian Davidson, Paul Flynn, Jim Hood, George Howarth, Siobhain McDonagh, Jim McGovern, Ann McKechin, Dennis Skinner and Joan Walley. The Conservatives were Bill Cash, Richard Drax, Gordon Henderson, Philip Hollobone, Stewart Jackson, Bernard Jenkin, Nigel Mills, David Nuttall, myself, Sir Richard Shepherd, Charles Walker and Craig Whittaker. The Northern Irish MPs with us were Mark Durkan and Margaret Ritchie of the SDLP, Naomi Long of the Alliance and Independent Unionist Lady Sylvia Herman. On a day when Ed Milliband was attacking David Cameron for supporting hedge funds – even when he was driving through EU regulation of the sector – I am particularly grateful to the 11 Labour MPs who joined me in standing up for our hard-working hedge fund managers. It has been nearly 40 years since the British people last had their say on Europe. In that time, so much has changed. People feel that the EU is heading in a direction they never signed up to. We need a better deal for Britain, including putting the key question to the British people through an In/Out referendum by the end of 2017 at the latest. Currently, only one of the main three political parties are supporting this: the Conservatives. That’s why the party has launched a new campaign website, www.LetBritainDecide.com, which makes it simple for people to back the Bill, help build public pressure, give people a voice, and urge MPs from other parties to listen to their constituents. Please visit www.LetBritainDecide.com if you would like to get involved.